At number 6: is the Tinsel actress Linda Ejiofor…you can see the creativity in her dress and how nicely fitted it appears on her. 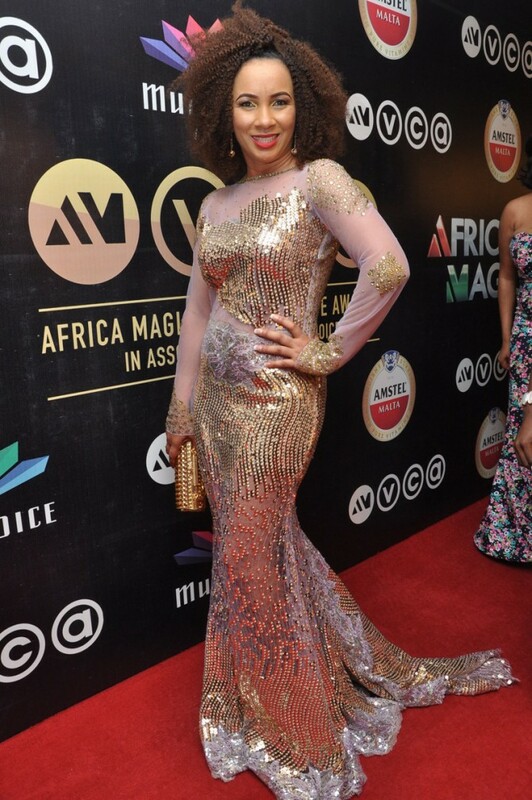 At number 5: is Ibinabo Fiberesima, her outfit is flawless, however, the hair style didn’t go down well on the red carpet. At number 4 is beautiful Kate Henshaw: this lady knows what looks good on her and can wear anything but still looks fab. Look at that hair style? OMG…I absolutely love it!!! 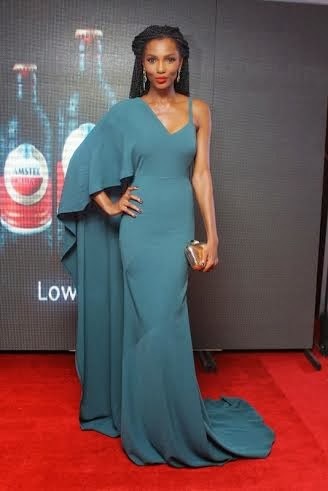 At number 3: Ufuoma looks absolutely gorgeous and sleek..
At number 2: Agbani Darego…she pulled off her red carpet look effortlessly and almost won this year’s best dressed female but our number one, stole the crown. At number one: is Osas Ighodaro…if you go through all her outfits for the event, you’ll understand why she was a crowned beauty queen. Both African prints and cocktail dresses she wore made her look outstanding. However, this African print stood out for me. 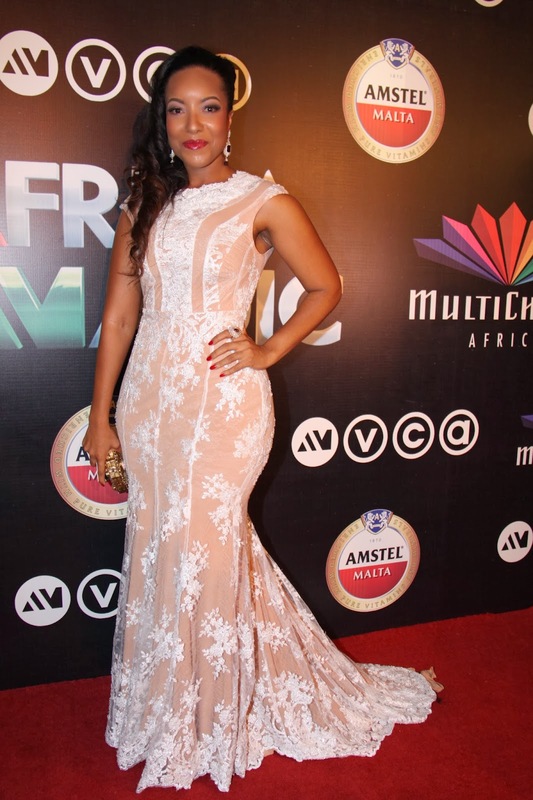 She looks graceful and very pretty, therefore wins again this year’s egosentrik Best dressed female AMVCA 2014. She was our winner last year and also did it again this year. CONGRATS OSAS. 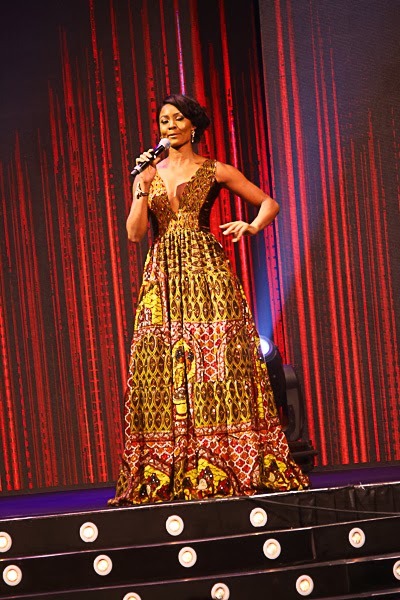 This entry was posted in Entertainment, Fashion trends and tagged Egosentrik's best dressed Female AMVCA 2014.